Two lions were walking in the jungle when one started to lick the rear end of the other. The lion getting licked asked why the other lion was doing this. He said “I just ate a mortgage banker and was trying to get the bad taste out of my mouth.” The taste was sweet when money was free flowing from your local mortgage banker. But as we now know, it quickly soured for many of us. The housing crisis is no joke and without an end in sight. It’s well documented that Wall Street made obscene profits from mortgages, while the government did not regulate the industry. Mortgage loans were given out like candy to a baby; only the candy has turned out poisonous for many of us. After the mortgage bubble blew up in 2008 leaving most of the banking industry in financial shambles, the government partnered with the banks and not only bailed them out with our tax dollars, but also gave bankers another big payday. To save face, politicians put programs like HAMP and HARP in place and encouraged lenders to modify mortgages in order to make them affordable. Unfortunately, so far, our federal and local governments, along with the courts, have not had much success in getting banks to give out fair loan modifications. Because homeowners do not have the funds to fight lenders in court, federal guidelines change frequently and lenders are given a great latitude of discretion in evaluating loan modification applications , it is not surprising federal governmental programs are failing. I worked on Wall Street for over twenty-five years at some of the most top financial institutions in the world. My resume includes structuring complex derivative transactions as a corporate attorney and originating hundreds of millions in investment banking deals as a banker. I know what I am talking about when I speak of Wall Street’s “creative greed” that created the financial problems we are facing. Today, I am dedicated to being your “advocate” in the struggle to save homes. I’m up to my neck in battling foreclosures, as our nation continues to labor in an economic mess, no matter what your elected politicians tell you. If you’re not having trouble paying your bills, you are one of the lucky few. I’ve learned a thing or two through these battles that I’d like to share with you. To start, always remember that a house is made of wood and cement, but a home is made from love and can be transported anywhere. With that in mind, you are ready to take on the challenge to save your home. What Options Apply to You? There are Federal Programs that are offered and many banks are required to check if you qualify for them. The one for mortgage borrowers in default is the Home Affordable Modification Program or HAMP. This is purely a financial numbers game looking at your income, expenses, home value, outstanding mortgage amount, and so on. If you’re fortunate enough to qualify, which is almost as difficult as winning the lottery, your mortgage would be modified to 31% of your gross income. The lender does this by reducing the interest rate, to as low as 2%, and lengthening the term up to 40 years. The bank may even reduce your mortgage principal once in a blue moon, but don’t count on it. If you do not financially qualify for one of these plans, or the lender just can’t seem to find all the required paperwork you sent during the allotted time, there are the so-called “in house” loan modifications. Every lender has its own criteria for these mortgage modifications. I believe some lenders use darts to arbitrarily determine who gets such modifications. They’re hard to predict, and even if you do get one, many times the modified amounts are still unaffordable. Of course, if you have gotten a windfall of money, you can then reinstate your fabulous mortgage. You do this by paying all of your missed payments, plus penalties, and don’t forget, the bank’s legal fees. • Maintain all evidence when you send any documentation to the loan servicer. • Don’t ignore alternatives to staying in your home if you are unable to improve your financial circumstances enough to qualify for an affordable loan modification. 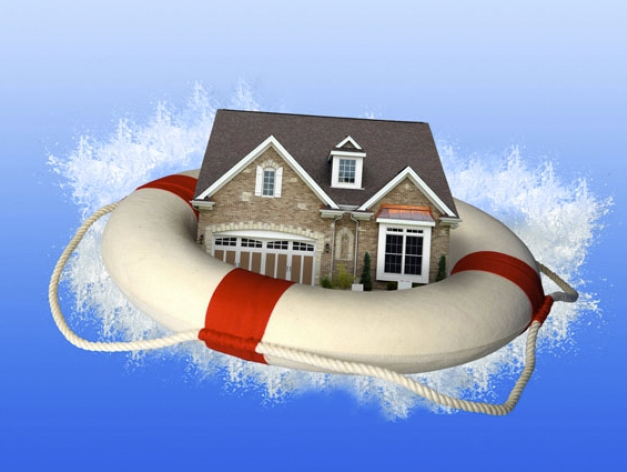 Most importantly, don’t despair or lose hope; that’s exactly what the owners of your mortgage are seeking. They want you to give up so they can take your property. In most places, the foreclosure process is slow moving and can be inexpensively delayed through the courts. Be persistent until you either get an affordable payment plan or come up with an acceptable alternative living arrangement. Know that you are not alone in your battle to save your home. Millions of Americans are going through what you are. If you are not facing foreclosure, have compassion for those who are. Neighborhoods with vacant houses hurt entire communities. As a nation, we must stand together and share our blessings with each other, just as God intended.